There are currently four Mobile Network Operator’s in the UK. These are EE, Three, Vodafone & O2. All the other networks are virtual operators which piggyback off the back of one of these larger networks. These networks all have their unique perks and customers offers. In this article, we look in depth at Vodafone & Three, comparing the quality of their network coverage and speeds as well as great perks such as free international roaming and unlimited Netflix streaming. Read on to learn more about both mobile networks and decide which network comes out on top. Alternatively, you can go directly to Vodafone or Three’s site to check their latest deals. Vodafone provides 99% population coverage all across the UK with average 4G speeds of 20 MB/s. Another plus point of using Vodafone is its new VeryMe Rewards customer offer which offers discounts and freebies with popular high-street brands. Also, on certain plans customers have a choice of an inclusive premium subscriptions such as Amazon Prime Video or NOW TV. Some other perks include 77 roaming destinations on premium plans, tethering and over 250 Wi-Fi hotspots on the London Underground. Enjoy premium subscriptions on certain plans. VeryMe rewards offers great freebies. 77 roaming destinations on premium plans. Most perks on premium plans. Three also gets the basics right with around 99% population coverage, with average download speeds of 23 MB/s. Three also offers several great perks to its customers with Go Roam available to all pay monthly and PAYG customers which has inclusive roaming in 71 destinations worldwide. Go Binge offers customers unlimited data usage on popular applications such as Netflix. Free roaming in 71 destinations across all plans. Unlimited data usage on popular apps such as Netflix. Vodafone offers customers 99% 4G population coverage, with coverage for 3G and 2G in locations where 4G isn’t available. We recommend still checking out Vodafone’s coverage checker on their site to ensure you have coverage in any locations you frequently visit. 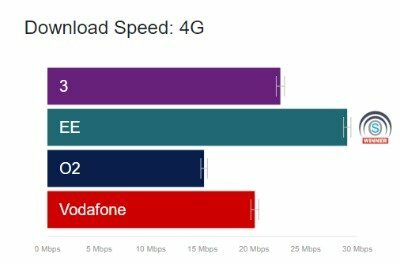 Per Open Signal Vodafone also has an average download speed of 20 MB/s which is ahead of O2 but behind that of Three & EE Three also offers 99% 4G population coverage. Recent speed tests measured Three’s average download speed at 23 MB/s which is second only to EE who leads the way with 30 MB/s average 4G data speeds. Both networks offer 99% 4G Population coverage, but Three’s extensive roll out of super-fast 4G means they offer faster speeds than Vodafone. If you’re interested in getting the fastest speeds in the market, check out our EE review, with EE you can get up to 150 MB/s on 4G++ in certain cities across the UK. With either network, you won’t have a problem making a call but voice call tests tell us which of the networks offer better call quality. Per P3 Communications tests results, Vodafone lags behind EE but offers better quality than O2. Vodafone performed well in terms of audio quality and connection times in larger cities vs. its competitors but slipped behind in smaller towns. Three in comparison to Vodafone only operates on the 4G & 3G network, with no 2G network. Three’s 4G super voice means you get better rural and indoor coverage when using your Three SIM – Three customers can make calls in locations where they otherwise couldn’t by utilising 4G super voice. However, looking at the same independent testing body P3, Three was behind Vodafone but still had a score of ‘good’. Vodafone takes this, but it’s close with voice calls not being an issue on either network. When you turn your phone into a Wi-Fi hotspot and connect other Wi-Fi enabled devices, this is called tethering. Vodafone offers unlimited tethering on its network. When a customer purchases a Vodafone SIM, they get the freedom to tether as much as they want. However, it’s worth checking out Vodafone’s out of bundle data pricing, as you are more likely to burn through all your data when tethering Three also offers tethering services on all their plans, except from their essential plans. Three’s essential plans are their low cost, no frills options. However, if you are on any of the advanced plans, there is no restriction on tethering. Vodafone has no limit on tethering and therefore wins this category. Vodafone offers access to 48 roaming destinations completely free of charge – however this is in line with EU regulations and standard across all the networks. To access additional destinations like Canada and the USA, you need to purchase a Vodafone Red Entertainment plan which offer roaming in 77 destinations worldwide. These Red plans are however pricier with SIM only deals starting from £20. The other option includes paying £6 daily to roam in 104 different destinations worldwide. Three offers ‘Go Roam’ to its customer with which they can access over 71 roaming destinations. These are available to all customers except those on essential plans, this means even PAYG customers can benefit from roaming abroad in over 70 destinations. Some of the inclusive locations outside of the EU include, USA, Australia & Brazil An alternative is Three’s Data Passport Service which offers unlimited data usage in over 89 destinations at £5 per day. Three “Go Roam” proposition is available to most its customers and as a result wins this category. When a customer uses a Wi-Fi network to make a voice call rather than using the carrier’s network connection, it is referred to as Wi-Fi Calling. This is a great option if you’re indoors and have poor network coverage but have access to a Wi-Fi network. Vodafone’s Wi-Fi calling is only available to pay monthly Red Extra or Red Entertainment plan customers. Moreover, this service can only be used with compatible devices. Also in terms of Wi-Fi hotspots, standard Vodafone subscribers get Wi-Fi on the underground whereas premium Red plan customers get access to over 5 million BT Wi-Fi hotspots. Three enables the customers to make calls over Wi-Fi – with their ‘Three In Touch’ proposition being the best Wi-Fi calling in the market. Customers automatically connect to Wi-Fi calling if they’re connected to a Wi-Fi network, with most devices compatible. In terms of Wi-Fi hotspots, Three also offers Wi-Fi on the underground, Three customers can stay connected at over 250 underground stations in London. Although Vodafone’s BT Wi-Fi access is great, it is only available on premium plans and Three’s Wi-Fi calling is best in the market and as a result, Three takes this section. 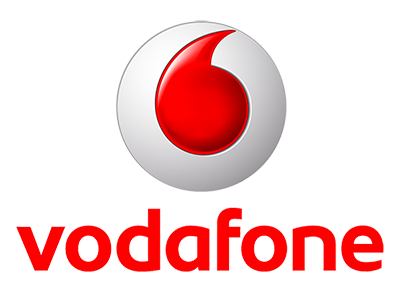 Vodafone data rollover service is only available to PAYG customers. 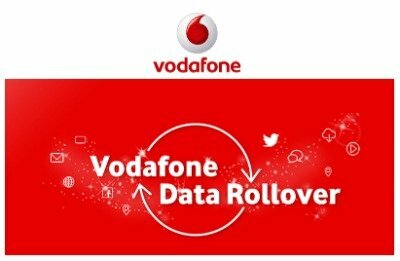 Customers need to purchase ‘Vodafone Total Rollover’ plans to roll their data over to the following month. Three, on the other hand doesn’t offer data rollover on any of its plans, regardless of whether it is a pay monthly or PAYG deal. Vodafone offers data rollover to PAYG customers with Three offering it on no plans and as a result Vodafone wins this section. If you’re looking to save on any unused data we recommend checking out SMARTY, which gives you money back for any unused data – Half Cooked rates SMARTY as the best data rollover plan in the market. A flat 15% discount to existing customers when they add an extra phone contract, SIM only deal or tablet plan. If you recommend a friend, you can earn up to £25 worth of Amazon vouchers. Three has ‘Existing Customer Offers’ which provides discounts on Phone and SIM only contracts. Customers get on average up to £3 off on iPhone contracts, whereas you could save up to £5 a month on Samsung or Huawei contracts. You can also save up to £2 on SIM only deals. Vodafone wins out as its flat 15% discount tends to work out more beneficial than Three’s existing customer offers. Half Cooked rates BT Mobile’s family plans the best in the market with 20% off on all additional SIM plans and phone contracts. Vodafone VeryMe rewards is available to all pay monthly customers. It is also available to PAYG customers, but only if they top up £10 within a 6-week period. Using VeryMe rewards, the customers receive weekly giveaways as well as discounts on various popular UK brands. Some examples include, free coffees, meal deals & discounted movie tickets. Three has their own version of Very Me called Wuntu. 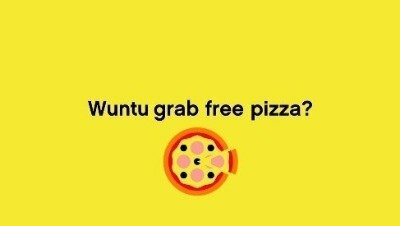 Wuntu offers rewards to customers by collaborating with different brands to provide customers discounts. Vodafone VeryMe rewards offer greater value when compared to Three’s Wuntu app and wins out. The best network in the market for customer rewards is O2, their priority app gives customers weekly freebies and early access to purchase tickets for gigs, check out our detailed O2 review to learn more. Red Entertainment or Red Extra plan also get a 3-month trial of the anti-virus software Secure Net. 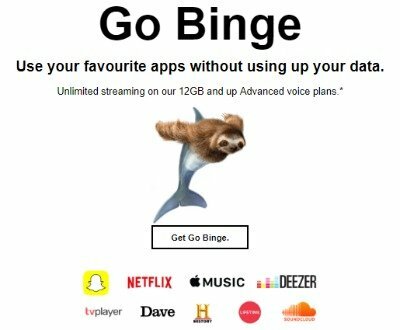 Three customers get access to Go Binge which offers unlimited data streaming on popular apps such as Netflix, Soundcloud, Apple Music & Snapchat. These deals are offered to all customers who have advanced plans with 12GB or more data usage a month. Three offers its perks at a better value with Vodafone’s premium subscription only available at the top end of its plans. Both networks perform well and have well rounded propositions but with faster data speeds and more offers available to all of it’s customers as opposed to limiting offers to premium plans, Three is Half Cooked’s overall winner. 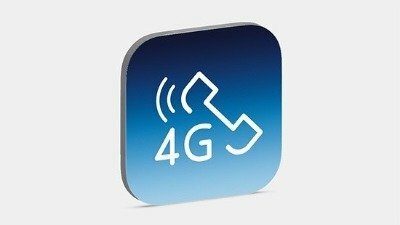 Previous articleEE vs O2 2019: The fastest 4G speeds in the UK with EE or O2 Priority access? Next articleBest Family Mobile Plans in the UK 2019: Discount SIM deals or Data Sharing?